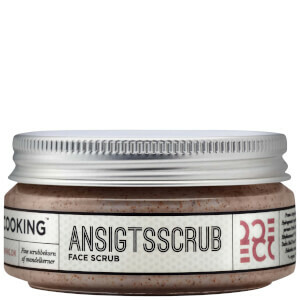 Smooth and refine skin with Ecooking Face Scrub, a gentle exfoliator that reveals a glowing, radiant complexion. Infused with finely ground Sweet Almond Seeds to sweep away dead cells, dirt and impurities without clogging the pores, the formula utilises Almond and Sunflower Oils and Shea Butter to replenish hydration whilst soothing any feelings of irritation. After use, skin will be calmer, clearer and visibly purified. Recommend for use 1-3 times weekly. 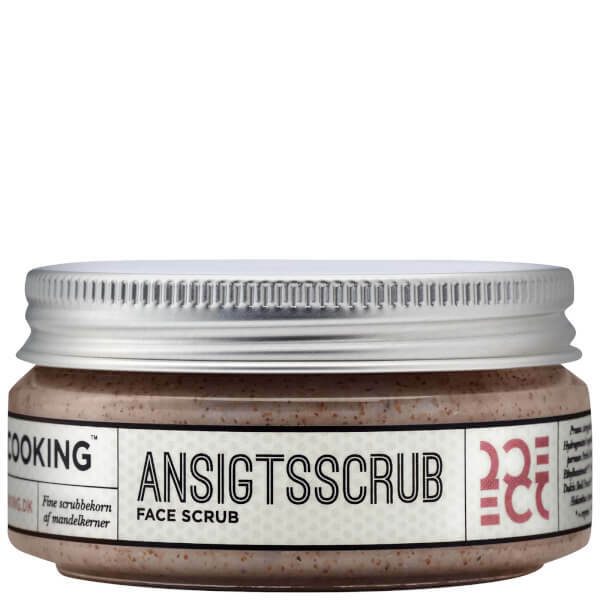 Apply to damp skin and massage gently in a circular motion, avoiding the delicate eye area. Rinse with water. Cleanse e.g. skin after use. Prunus Amygdalus Dulcis Oil*, Hydrogenated Vegetable Oil*, Butyrospermum Parkii Butter**, Cetearyl Ethylhexanoate**, Prunus Amygdalus Dulcis Shell Powder**, Tocopherol**, Helianthus Annuus Seed Oil**.